It is time to get out the snow thrower and prepare for winter. These snowblower tools are used to clear a sidewalk or driveway of snow with minimum back aches. However, they can be hazardous. Here is a check list to run through before your first snow. Never put your hands inside the chute. If you get an accumulation of snow clogging the thrower, turn it off, wait for all moving parts to stop and then clean it out with a safety tool. Keep the safety features functioning, even if it is inconvenient. Keep pets and people (particularly kids) away while you are operating the snow thrower. You never know when the snowblower will pick up some stones or clumps of ice along with the snow, causing injury to anyone in its path. If it is going to snow, clear your paths and driveway of any items such as doormats, wires, debris that can go unnoticed once covered with snow. Always read the manual, don’t let children operate the snowblower and don’t clear snow along slopes. It could get slippery and you could be injured. 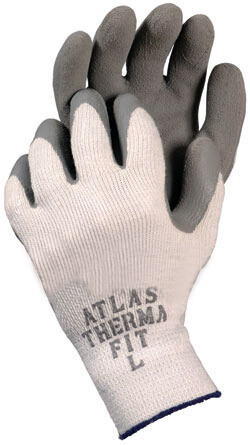 It is recommended to use gloves to protect your hands from cold but be sure they provide a good grip. Make sure you apply fuel system revitalizer to help when just taking your equipment out for the season. Specifically designed for safety when using snow machines. 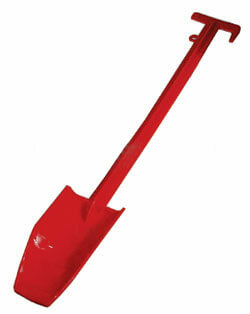 Shape of shovel end made to go inside the chute of snow throwers / blowers for safety. Never put your hand in the chute. Prevents rust and corrosion. Removes water from the fuel system. Designed for year round use in al 2 and 4 cycle gas and diesel engines. Keeps dirt and grass from sticking to mower decks and snow from sticking to snowthrowers, or other snow equipment. Start Your Engines fuel system revitalizer that ensures easy starting, smoothes out rough idling and eliminates warm stalling. For just out of storage and in season use. 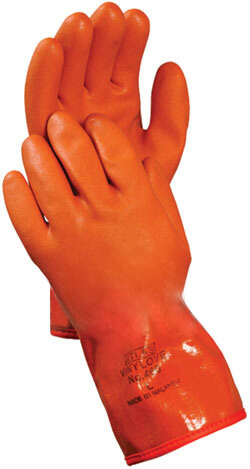 Good grip for wet or dry work situations. Ideal for colder climates. 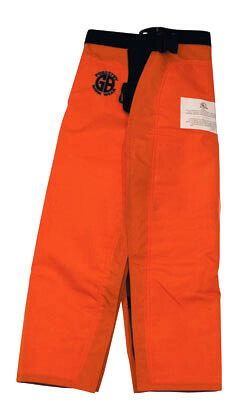 Heavy lining for maximum warmth in either cold or wet conditions, flexible even to 4 degrees. Available in various sizes, these chaps are designed of 8 layers of Kevlar to protect against equipment failures as well as the cold elements. To cut time cleaning patios, sidewalks or driveways of snow or ice during winter season you can use electric or gas snow throwers available from lightweight to professional series. Use of portable space heaters for an instant deliver of heat during winter time is a nice additional equipment for warehouses, outdoors as well as drying surfaces. Kerosene, propane/natural gas, propane gas fired convection, and propane radiant heat space heaters available.